Note: You can remain anonymous if you choose the consultation! To enter, you must leave a review on iTunes, then follow up with your email to info@holisticspaces.com. Between now and September 30th, everyone who enters will be entered into a raffle for the free podcast consultation or gift card! Under iTunes Customer Reviews or App Store Customer Reviews, tap Write a Review. If prompted, enter your password. Select a star rating, enter a title, write your review, then tap Send. I'm very excited to have my Tibetan sacred art teacher, Carmen Mensink, on the podcast today! Carmen is an amazing artist from Holland and has been studying Tibetan Buddhist art and practicing Buddhism for almost 20 years. She now teaches at many wonderful places across New York City, including the Rubin Museum of Art, Tibet House - NY and many more, and I'm so fortunate to work with her on my own sacred art! She has graciously agreed to share her insight on sacred art with us today! How can sacred art enhance your holistic space? Thanks so much to Carmen for chatting with us today! Check back on the Holistic Spaces blog for a post on Tibetan symbols coming soon! If you're in the New York area and interested in learning more about Tibetan art, I highly recommend reaching out to Carmen. She's an incredible teacher and artist! 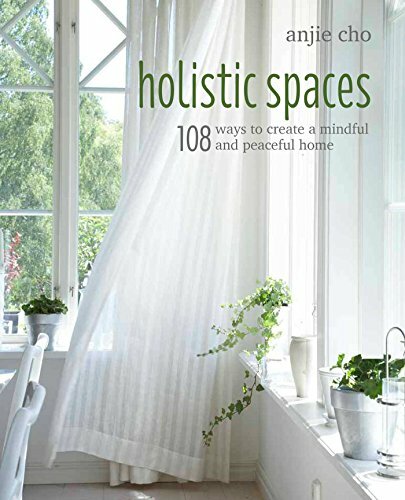 Also don't forget to sign up for green design and feng shui tips in our Holistic Spaces newsletter. You'll receive a 10% off coupon to the shop for signing up! I'd love to hear your questions about feng shui, green design and holistic living as well. Send them our way, and you may be featured on the Q&A Sunday series! Carmen Mensink is a painter and teacher of Tibetan Buddhist Art based in Amsterdam. Interested in Buddhism from an early age, Carmen studied with thangka painter teacher Andy Weber for thirteen years before being chosen as his successor in teaching. Since 2008, Carmen has traveled the world painting and teaching the art of thangka full-time. Her classes and lectures are available in Europe, the United States and Asia, and she also offers private lessons and thangka restoration. To view Carmen's work or learn from her, visit tibetan-buddhist-art.com.